Camp Sky Meadows has seven buildings, on 25 acres, for you to use. The big Case Lodge is for large meetings, and the other six buildings accommodate sleeping. One of those six is also a self-contained lodge for smaller groups. Case Lodge is the main meeting and dining hall that accommodates up to 140 people for meals and seats up to 200 people for day-use meetings. 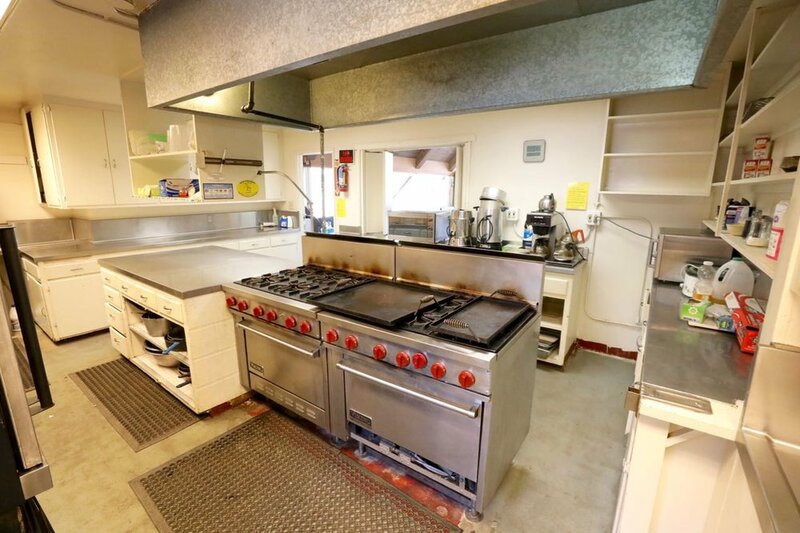 The fully equipped kitchen includes utensils and dishware, cookware, a 12-burner stove, 2 ovens, a griddle, large convection oven, large refrigerator, plus a walk-in refrigerator, 1 large freezer, a microwave, an automatic dishwasher/sterilizer, and an ice machine. This hall has a great open seating area that can be used for indoor activities, then set up again for dining. It has a large fireplace, a piano and projector, screen and a new sound system. Inside a cabin - nice and clean! Manzanita Lodge is a fully self-contained facility that can sleep up to 28 people and accommodate smaller group meetings. The lodge includes a meeting/dining room with a fireplace, kitchen, four large dormitory-style bedrooms with new wooden bunks, one small room with a single bunk bed and two complete bathrooms. The fully equipped kitchen includes double sinks, stove and griddle, refrigerator, worktable, microwave, utensils and dishware, and cookware. Manzanita Lodge can be rented as a stand-alone, or combined with the rest of the camp for larger groups. 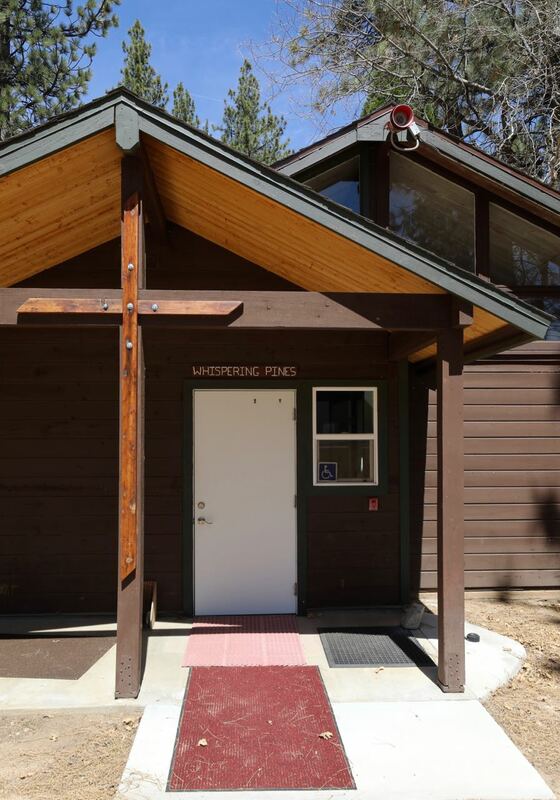 Whispering Pines is a ten-room dormitory that can accommodate up to 38 people. It has three complete bathrooms and shower facilities (one is ADA compliant). This large cabin is newly painted and carpeted with 18 wooden bunks and one metal frame bunk. There is a small room with a sink and cabinets (no beds) in each half of Whispering Pines that can be used for a first aid room or for other purposes. One of the rooms has a connected room which could be used by a camp director. There are four individual bunkhouses, each accommodating up to 16 people, for a total of 64 campers. The cabins have access to separate men’s and women’s shower and bathroom facilities. MANZANITA LODGE alone in the lower camp for small groups of 15 to 28.